One of the preparations during the season of Advent is a night reading from various Scripture passages, in particular from the Book of the Prophet Isaiah, wherein he foretells the coming of the Savior. 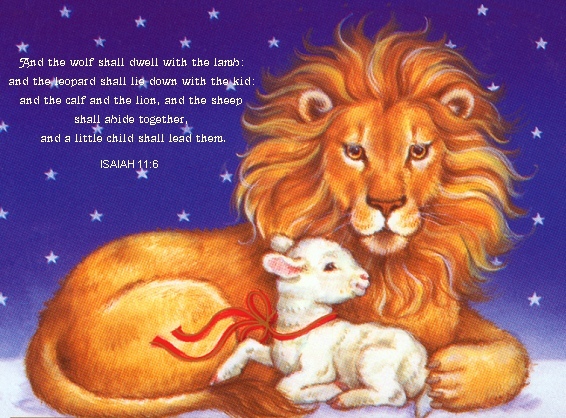 A favorite passage with children and grownups alike is Chapter 11, verses 1-10, commonly referred to as the passage of the lion and the lamb, especially the sense of peace it brings. For generations women have needlecrafted tapestries with this image, quilts have been made centered on the theme and many figurine sets have been made by artisans, and of course, it appears on Christmas cards.